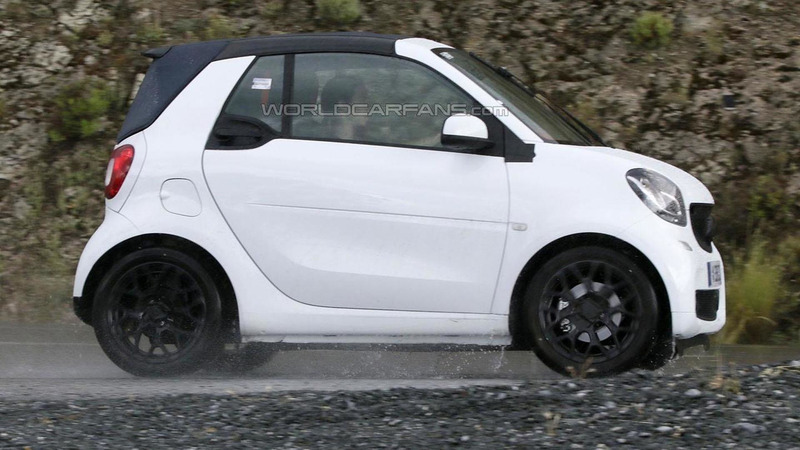 The 2016 Smart ForTwo Cabrio has been spied virtually undisguised. 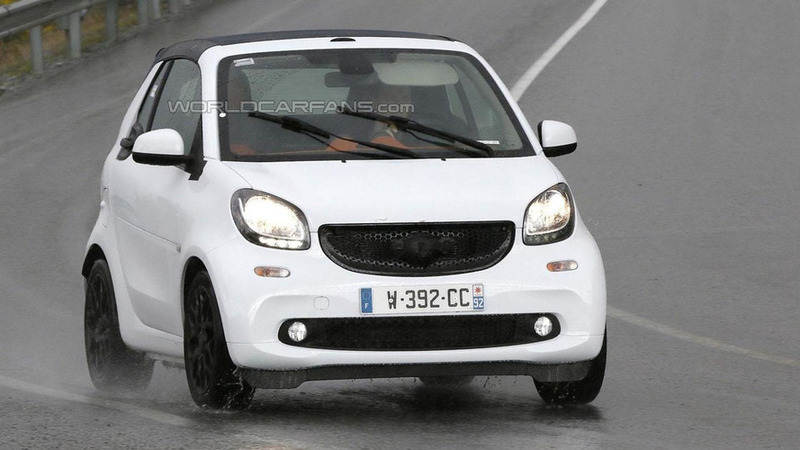 Caught with only a few pieces of tape covering the Smart logos, the ForTwo Cabrio follows in the footsteps of the standard ForTwo but adopts a retractable cloth roof. Additional changes are limited but we can expect a slightly revised interior with new controls for the roof. Engine options will carryover from the standard model so expect a variety of options including a naturally aspirated 1.0-liter unit with 71 PS (52 kW) and 91 Nm (67 lb-ft) of torque as well as a turbocharged 0.9-liter engine that develops 90 PS (66 kW) and 135 Nm (99 lb-ft) of torque.